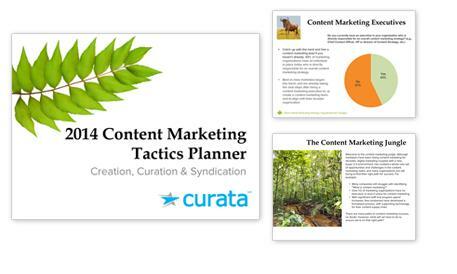 Curata, a content curation software company, recently published its 2014 Content Marketing Tactics Planner using survey data it gathered from more than 500 marketers. While the ebook itself is chock-full of good advice and insights, the stack ranking of the perceived challenges of marketers really caught my attention. Specifically, that content promotion was dead last on the list. It could only be dead last for one of two reasons: either many marketers have mastered content promotion already, or most marketers don’t yet know they should converge their owned media efforts with paid and earned media for promotion and distribution. It’s likely the latter. Why would it be the latter? Because the Content Marketing Institute (CMI) reports that 58 percent of B2B marketers and 68 percent of B2C marketers feel their content is not effective. Furthermore, Econsultancy reports that only 38 percent of brands even have a content marketing strategy. Content promotion tactics combined with owned media development and measurement equate to a content marketing strategy. 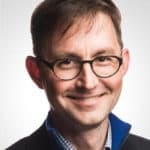 In Ryan Skinner’s Forrester study, Put Distribution at the Heart of Content Marketing, he determined that marketers can actually step down content production and step up distribution and promotion to get better results. He also figured out that better distribution and promotion improves content’s quality because the feedback cycle is accelerated. 1. Limited staff – In content marketing, the quality vs. quantity debate still rages. Finding the perfect mix is like finding snow in the desert – it’s not going to happen. Improving quality or increasing quantity takes time and can be challenging to insource with limited staff. Marketers who do earned and paid content promotion (number seven) can cut down on production and increase content quality faster, according to Forrester’s study. 2. Limited budget – Just like with the first challenge on the list, marketers are looking to build efficiencies. This can be accomplished through outsourcing and/or adopting content marketing technology which can take a toll on a budget. Financial limitations can also impact a brand’s ability to do paid promotion. However, earning media from trusted industry websites and influencers doesn’t have to impact the budget directly. Marketers who build real relationships with industry media outlets and influencers can earn coverage (content promotion) for their content without directly impacting the budget. It can also partially free up some of their reliance on outsourcing and technology – freeing up additional budget. 3. Creating enough content on a regular basis – This is very much related to both challenges one and two. With a limited budget, outsourcing becomes much more difficult. With limited staff resources, insourcing content development is harder to do, too. 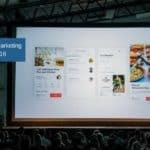 However, marketers who do earned and paid content promotion (seventh on the list) can cut down on production and see better results, according to Forrester’s study. This will free up some of the limitations in time and budget. 4. Finding the best sources to create amazing content – The Internet is teeming with information and Big Data on the ideal audience, media and influencers to pitch and topics that resonate. 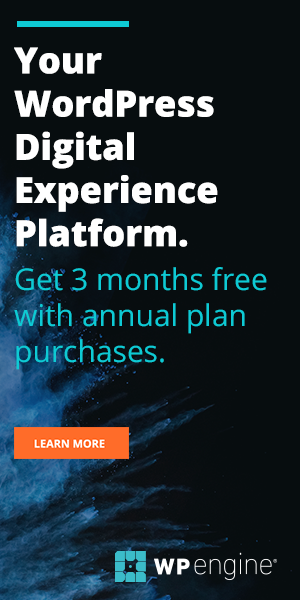 Tools like Cision, BuzzSumo, inPowered, SEMRush, Hitwise and many others serve up information content marketers can use to overcome this challenge. The bottom line here is to do good research before creating content, pitching the media or launching a paid promotion campaign. Many of the tools mentioned above are free to use or can be affordably added to a content marketing budget. The first thing to do to get started is to honestly assess how much time and resources are dedicated to content promotion. . . and I’m not talking about social media broadcasting from the company’s accounts, either. If the answer is little to none—and it likely is—then the source of the first three challenges has just been identified. After looking closely at The Bloom Group’s various research studies on thought leadership development and thought leadership marketing, Jason Mlicki of Rattleback suggests allocating 45 percent of content marketing resources towards content promotion and investing the other 55 percent in content development and packaging. Including the measurement and research tools spend in that 55 percent is important as well. Mlicki’s recommendation is specifically for B2B professional services firms, but it’s a good rule of thumb no matter the industry or target audience. While content promotion and good research can help solve challenges one through four, it doesn’t address challenges associated with organizational culture and measurement. 5. Organizational culture – This can prove to be challenging whether it’s content marketing, cloud computing adoption or any other issue. Companies both large and small struggle to adapt to change quickly. Silos exist and department heads want to protect their budgets. 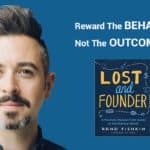 The best way to influence organizational culture and positively impact content marketing efforts is to build a case using data, craft a thorough plan and sell it to everyone you can get to listen. Make sure to include how it will benefit the people you’re selling to internally. 6. Measurement – It’s surprising to even see this on the list, but no matter. It’s certainly challenging for some; because before a marketer can measure anything they have to have a clear goal and a strategy. Obviously, if only 38 percent of brands have a content marketing strategy, it’s unlikely they’ll have anything meaningful to measure. First, establish a goal. Does marketing need to drive leads or sales conversions? If leads, what type – subscribers, inquiries, marketing qualified or sales qualified? We’ve established a strategy above already – converging owned, paid and earned media. Now it’s time to deploy a CRM, marketing automation and demand generation software to measure the results from the described tactics above – traffic, conversions, leads, MQLs, SQLs, opportunities and closed won/loss. For those on tight budgets, Google Analytics will work with some customization. 7. Promoting content – Based on the studies cited above, it’s likely that most marketers don’t even know what true content promotion and distribution looks like, let alone its benefits. Having content featured on established media outlets and industry websites can drive thousands of visitors, leads and conversions in a short period of time. Start with getting educated on the promotion tactics, both paid and earned. Here’s a content promotion and distribution cheat sheet to get off the ground. Next, take the lessons learned above and appropriately allocate resources to content promotion. The above represents huge marketing hurdles to overcome for some. However, many can overcome five of the seven challenges above through content promotion and doing appropriate research. It’s time to join the ranks of marketers who don’t experience these pain points.